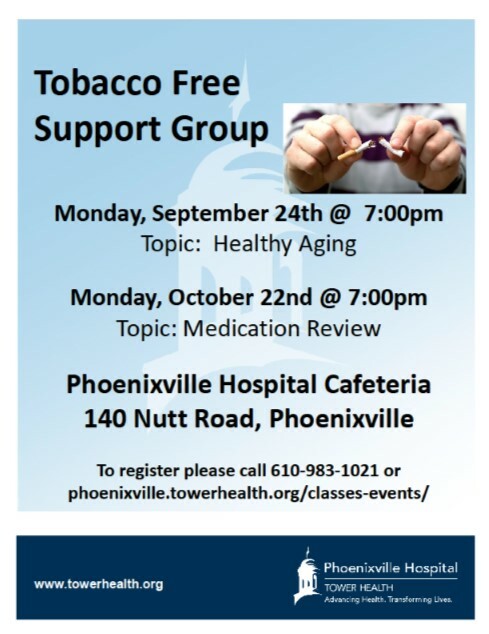 Phoenixville Hospital Tower Health Tobacco Dependence Treatment Program offers monthly Tobacco Free support on the 4th Monday of each month. Support is offered to those thinking, desiring, or currently tobacco free. Monthly health topics incorporated into group driven discussion.